The Blackhawk Bridge that links the state of Iowa and Wisconsin over the Mississippi River, was dedicated on June 17, 1931. With three States enjoying the jamboree, most businesses in La Crosse were closed for the celebration enabling their employees to attend the program. Heading the list of invited speakers were Governor Philip La Follette of Wisconsin, Governor Floyd Olson of Minnesota and U.S. Minister of Canada, Hanford McNider. The Blackhawk Bridge from Iowa to Wisconsin near Lansing. After being idle for many years following a flood that took out a bridge on the Wisconsin side, the bridge was repaired and again was dedicated on May 30-31, 1957. 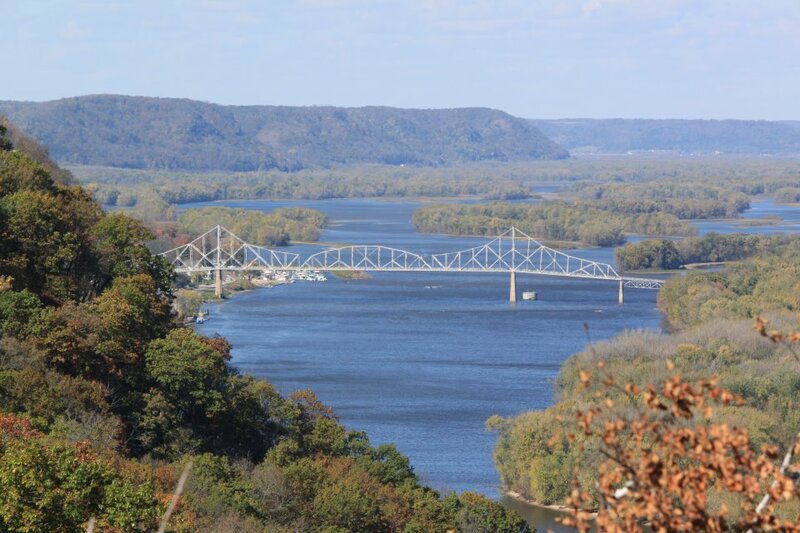 The first bridge was a toll bridge between the states of Iowa and Wisconsin. Lansing Fish Days were celebrated at that time, along with “Venetian Night” where decorated boats parade down the river illuminating the night with colorful lights. View more places of interest around Lansing and Eastern Iowa. Please take a look at our beautiful home sites.